Markus Myrie is all about his mother in this new post on his Instagram. Ever since his rumored fight with his father Buju Banton, Markus Myrie has been hard at work doing what he does best, making music. The dancehall producer is showcasing his mom on the Gram, and now his fans are accusing him of taking more shots at the reggae star. “Work all night then wul a Morning vibes wid mi biggest fan/mommy new single from yours truly, soon fwd!! Produced written engineered and sang by ME #MarkusRecords #GREAT,” the producer wrote while previewing a new song he got coming out. 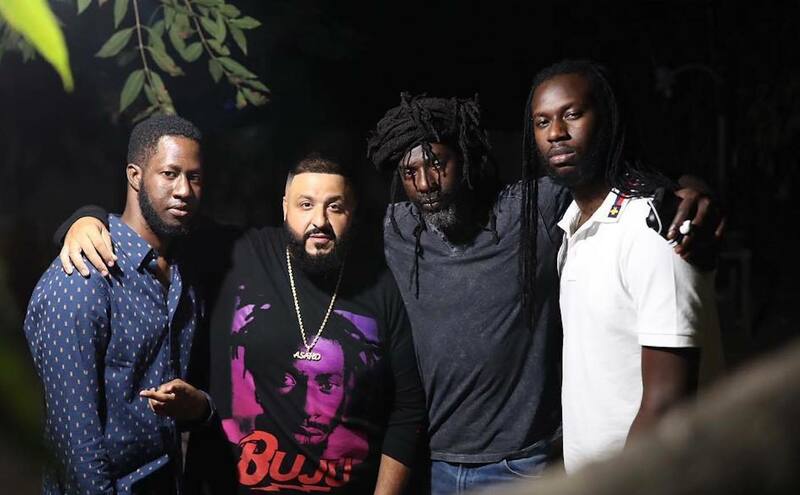 Sources told Urban Islandz that Markus and Buju are not on speaking terms ever since the two had a running at a studio two weeks ago. We’re told that Markus made the situation worst when he released a second batch of statements where he labeled the singer a bad father and never offered an apology for his previous comment. Buju Banton has remained silent on the issue and has made the decision not to address as he tries to keep his family business outside of the public space. Nevertheless, Markus is all mommy’s boy in this clip. Work all night then wul a Morning vibes wid mi biggest fan/mommy new single from yours truly ,soon fwd!! Produced written engineered and sang by ME #MarkusRecords #GREAT ??? ?